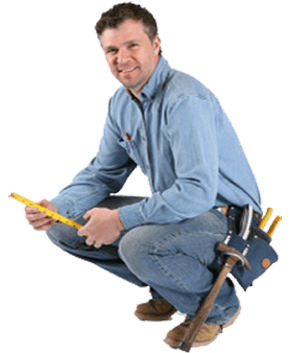 Homefix Handyman Sheffield specialises in fixing all the little things around your house. What really makes us special is that our handymen are professionals skilled in their trade, so they bring decades of experience which saves you time and money. Our friendly craftsmen are fully insured and show up on time. They work efficiently, won’t smoke in your home and clean up when they’re done. It’s that old fashioned work ethic we all love and remember. Homefix Handyman is based in Sheffield and we cover the whole of the local area. We can help you with a complete range of maintenance and DIY problems, such as installing a new sink, water leaks, additional electric sockets, or even just fitting a light bulb. We can even mow your lawn or take care of any unfinished DIY jobs around your home. We are small job specialists, and happy to take on the little jobs that the big boys won’t touch. We are proud to say that we can provide the best quality and maintenance service at a competitive price in the Sheffield and Rotherham area. Home Repairs Have Never Been So Easy! Whatever jobs are on your to do list, our Sheffield Handyman will take care of them. We can fix just about anything. Give us a call, and we will have a fully trained and experienced handy person with you to get the job done. Just call Homefix Handyman, and we will be with you at your convenience. If you need to find a handyman for an emergency job, we can get somebody to you straight away. We can also send a handy man in the evening or on weekends. We don’t charge for the call out, so you don’t get charged until your odd job man starts work. We have a 1 hour minimum charge, but after that our handyman services are charged in half hour slots. No longer do you need to stay at home all day hoping for your trades person to show up … We turn up on time every time! And we offer a satisfaction guarantee on all work, because we want you to be a lifetime customer. If you are a homeowner, tenant, landlord or business in the Sheffield area, and you have handyman jobs that you would like to take care of. Give us a call today! Sheffield is a beautiful town sitting on the River Sheaf and within the county of Yorkshire. It has a population of over 550,000 people. Homefix Handyman Sheffield is proud to serve this local area, which also includes smaller suburbs such as Attercliffe, Tinsley, Hillsborough and many more. Call us for all your maintenance and gardening needs!